US NEWS: Netflix streaming movie service in pay-TV deal | What Hi-Fi? Seen as a sign that the online delivery of movies is becoming a meaningful revenue stream for Hollywood studios, the deal will see movies available to Netflix users three months after their TV premiere. Epix is owned by three studios: Paramount Pictures, Lions Gate Entertainment and Metro-Goldwyn-Mayer, all of which will now bring their films to the Netflix streaming service. 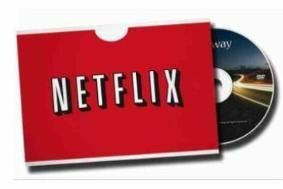 Netflix is a popular home delivery service in the US, with some 15 million customers, that operates in a similar way to LoveFilm in the UK. And as Netflix has begun to offer films streamed directly to internet-enabled TVs or Blu-ray players, LoveFilm has done the same in the UK, appearing in Sony TVs and players. The lucrative deals struck by Pay-TV operators to show blockbuster releases have been the subject of much scrutiny, with BSkyB's movie deals currently under investigation by Ofcom. Netflix in the US is currently on the Xbox and iPad, plus devices from Samsung, Sony and more. The company has said it plans to launch its streaming service in the UK later this year.